I dont know about you but I am definitely waiting for the Burton's film Alice in Wonderland. 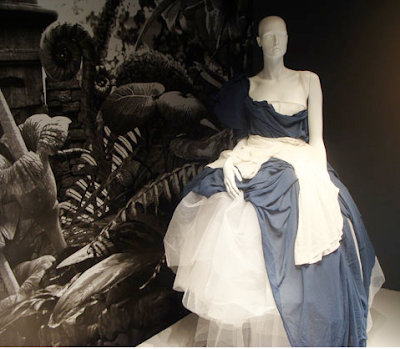 For this occasion Printemps in Paris prepared their shop windows. 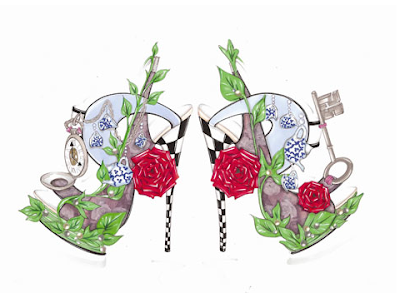 All started by the special Nicholas Kirkwood’s heels, inspired by Alice in Wonderland. Other designers shown in each window shop are: Ann Demeulemeester, Alexander McQueen, Bernhard Willhelm, Charles Anastase, Christopher Kane, Chloé, Haider Ackermann, Manish Arora, and Maison Martin Margiela.